Vep is a refugee, picked up from a planetary disaster and deposited inside some strange biological environment. She and her fellow prisoners work farming alien eggs in return for shelter. One day Vep is picked out from the crowd for resettlement - whether she wants resettling or not. 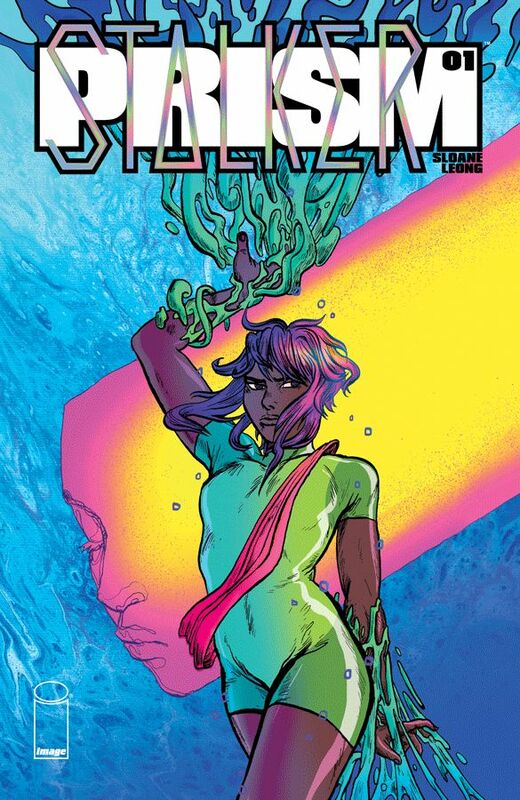 Prism Stalker is a new ongoing science fiction series from writer/artist Sloane Leong. While the artwork is relatively ordinary, it is vividly coloured - and that lifts the overall visuals up remarkably well. It has a richness that really suits its surreal, alien environment. Prism Stalker #1. Image. 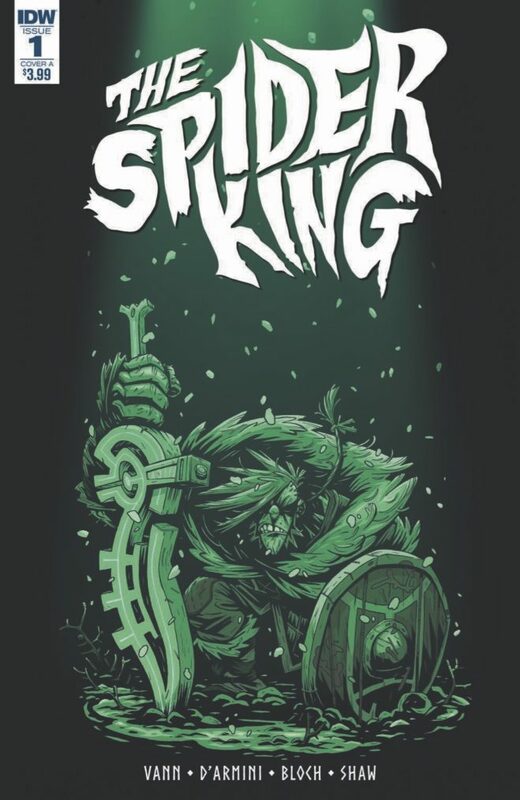 Story and art by Sloane Leong. 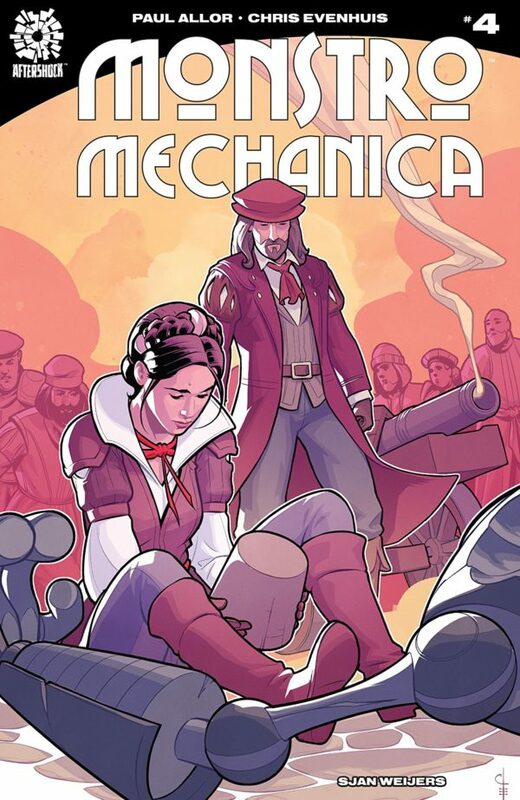 Under the cut: reviews of Monstro Mechanica, The Spider King and Superman. Aftershock. Written by Paul Allor. Art by Chris Evenhuis. Colours by Sjan Weijers. IDW. Written by Josh Vann. Art by Simone D'Armini. Colours by Adrian Bloch. DC Comics. Written by Patrick Gleason and Peter J. Tomasi. 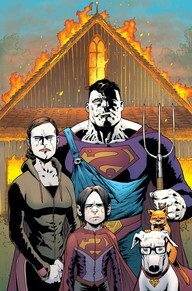 Art by Patrick Gleason. Colours by Alejandro Sanchez.